Ripple is an iteration of Ripplepay and represents an RTGS (Real-Time Gross Settlement System), remittance network and currency exchange. It is basically a common ledger that is being managed by a series of independently validating servers that compare on a constant basis transaction records. This system had the goal of enabling the near-instant and direct transfer of money between two parties. Ripple is based on a public database that uses consensus process between two validating servers in order to ensure integrity. The system claims to avoid fees that traditional banks are charging and also avoids cryptocurrency transactions via exchange platforms. The history begins in 2004, when the predecessor of Ripple, Ripplepay was developed by Ryan Fugger. His goal was to create a monetary system that was decentralized and could allow individuals and communities to create their own money. A few year later, in 2012, OpenCoin began developing a new payment protocol that would enable the instant and direct transfer of money between two parties. That protocol is the RTXP or Ripple Transaction Protocol and it is based on Ryan Fugger principles. OpenCoin was founded by Chris Larsen and Jed McCaleb. The lather is well-known in the cryptocurrency industry and comes from Mt. Gox, a company that is currently handling a good portion of the bitcoin trading worldwide. Ripple is a network that tries to facilitate a financial transaction that usually is expensive via the traditional banking system. For cross-border transfers, people need to pay high fees and wait for a few days until their money reaches the destination. The Ripple network solves those issues and money reaches the destination in a blink of an eye, for an extremely low fee. XRP is the coin used in the system for money transfer and customers need to exchange fiat money or other crypto coins for XRP in order to be able to use the network. Also, as compared with the other popular cryptocurrencies, like bitcoin and litecoin, Ripple is a centralized network, not decentralized. Due to the centralization, the transactions can be processed at such a high speed. Can you mine for Ripple? How is Ripple mined? Ripple is one of the cryptocurrencies that can’t be mined. It is a central digital currency controlled by a single company. The company has produced 100 billion units and this is an official number that will never increase or decrease. Due to that fact, there is no way you could generate XRP coins using the computational power of your computer. You will find articles and videos online that show you how to mine Ripple, but all are false. Out of the all 100 billion coins, at the present time, 39 billion is out in the market. The company plans to keep 25 billion coins for itself and the rest will be donated to different charity activities that involve computing for good initiatives. Keep in mind that there is no way you can manage to mine Ripple coins. The only way to own some is to buy them, as you will see described later in this material. Whether you want to exchange fiat money for Ripple, or you want to exchange other digital coins for Ripple, one of the best places to do that is an exchange platform. Since Ripple is one of the cryptocurrencies with the largest market cap you can find easily an exchange platform that has support for Ripple. To give you two examples, Cex.io and Changelly are two popular and trusted exchanges that you could use for that matter. On our website, you can find a review for each of them on our dedicated crypto exchange brokers page. Feel free to check them in order to find out more information before you open an account with a certain exchange broker. How can I sell my Ripple? Using a crypto exchange broker in order to sell Ripple is the best alternative for you. Whether you want to sell your coins for cash or you just simply want to exchange it for another cryptocurrency, using an exchange broker is the safest way. We’ve mentioned Changelly and Cex.io already, two of the exchange brokers which have been reviewed on our website already. Both have support for Ripple and also both have an already established reputation and good track record. If you want to find out more about crypto exchange brokers, you can check our dedicated page as well. Which Ripple wallet to use? If we talk about cold storage, the best hardware wallet for Ripple is by far the Ledger Nano S. Is one of the most affordable hardware wallets in the market and you will find a review for it on our website, as well. If we talk about online wallets, a few examples for that matter are CoinPayments and Toast Wallet. Since Ripple is one of the most popular cryptocurrencies, some online brokers have included it on their trading list. If you want to profit from the price volatility of Ripple, buying it through a broker’s account is the easiest way. You will avoid the whole process of using a cryptocurrency wallet and will be able to buy contracts based on Ripple directly through the broker’s platform. 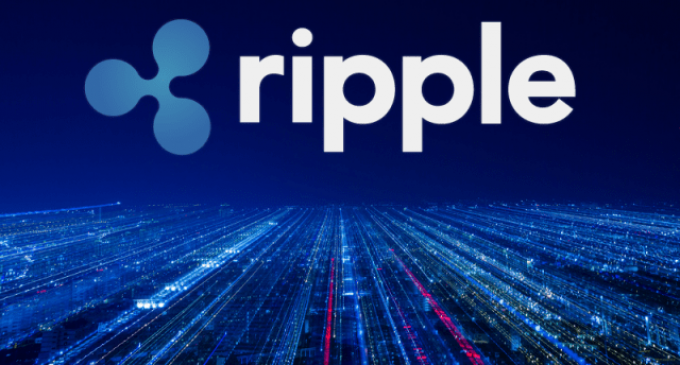 Two of the well-known brokers that have already included Ripple on their trading list is IQ Option and eToro. You’ll find Ripple on their instruments list and you will be able to buy or short sell in order to be able to profit from market swings. You will find detailed reviews for each of them on our dedicated crypto brokers page. Please feel free to check it in order to find out more about the brokers before you open a trading account.